This name uses Spanish naming customs: the first or paternal family name is Alomar and the second or maternal family name is Velázquez. Roberto "Robbie" Alomar Velázquez (/ˈæləmɑːr/; Spanish pronunciation: [aloˈmar]; born February 5, 1968) is a former Major League Baseball player (1988–2004), regarded highly as a second baseman. During his career, the 12-time All-Star won more Gold Gloves (10) than any other second baseman in baseball history, and also won the third-most Silver Slugger Awards (4) for a second baseman. On January 5, 2011, Alomar was elected to the Baseball Hall of Fame, in his second year of eligibility. He became the first Hall of Fame member to be inducted as a Toronto Blue Jays player. Currently, Alomar serves as a Special Advisor to the Blue Jays. Alomar was a switch-hitter and threw right-handed. He is the son of Sandy Alomar, Sr., a former All-Star second baseman with a 15-year MLB career. His older brother, Sandy Alomar, Jr., was a Major League All-Star catcher and is now the first base coach for the Cleveland Indians. Alomar was born in Ponce, Puerto Rico and raised in Salinas, Puerto Rico. The son of Santos "Sandy" Alomar, Sr. and María Velázquez, Alomar grew up in a baseball family. He and his older brother Sandy Jr. were raised mostly by their mother, due to their father's Major League career. When school in Puerto Rico was out for the summer, they joined their father, who let his sons hang around the clubhouse, shag fly balls, and absorb the game—especially from his New York Yankees teammates, such as Thurman Munson and Graig Nettles. Growing up, Alomar idolized both his father and José Cruz. In 1985, Alomar signed with the San Diego Padres at age 17, and joined the team's Class-A affiliate in Charleston. The following year, playing in Reno, he won the California League batting championship with a .346 average. Alomar entered the major leagues in 1988 with the Padres, where he was an excellent fielder with speed and a solid bat. Defensively, he displayed excellent lateral range and a powerful arm, often making spectacular plays on ground balls hit deep in the hole between first and second base, and on balls hit up the middle well behind second base. He was an All-Star for the first time in 1990, as a reserve player for the National League. Roberto Alomar's number 12 was retired by the Toronto Blue Jays in 2011. Roberto Alomar is a member of the Toronto Blue Jays' Level of Excellence. On December 5, 1990, Alomar and Joe Carter were traded to the Toronto Blue Jays in exchange for Fred McGriff and Tony Fernández. It was in Toronto that he developed into a premier offensive second baseman, combining a .300-plus batting average with above average power and high end speed on the bases. In 1993, Alomar had his best season with the Jays, producing 17 home runs, 93 RBI and 55 stolen bases, while batting .326, third in the league behind teammates John Olerud and Paul Molitor. He was a central figure in Toronto's World Series championships in 1992 and 1993; in Game 6 of the 1992 World Series, he scored the series-winning run on Dave Winfield's two-run double in the 11th inning. Alomar's game-tying, ninth-inning home run against Oakland relief ace Dennis Eckersley, in Game 4 of the 1992 American League Championship Series, is considered by many as the most important hit in the club's history, as the team's three previous trips to the ALCS had ended in disappointment; he was named the Most Valuable Player of the series. In each of his five seasons with the Blue Jays, Alomar was on the All-Star team and won the Gold Glove Award. His .307 career batting average as a Blue Jay is a franchise record, and he was the Blue Jays Player of the Year in 1991, 1992 and 1995. "I don't think we'd have ever gone to the World Series in '92 if he didn't hit that home run off Eckersley in Oakland that day like 4:30 in the afternoon when you could hardly see at the plate [because of the shadows]." On March 20, 2008, the Toronto Blue Jays announced that Alomar would be elevated to the Level of Excellence at Toronto's Rogers Centre, joining such Blue Jay legends as George Bell, Joe Carter, Tony Fernández and Cito Gaston. On April 4, 2008, Alomar's name and number were added to the Level of Excellence, along with team executive Paul Beeston, prior to the 2008 home opener. Alomar and Beeston were presented commissioned portraits at the ceremony. On July 19, 2011, the Toronto Blue Jays announced that they would retire Alomar's number 12 soon after his official induction into the Baseball Hall of Fame. 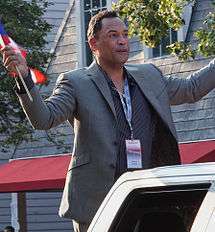 Roberto Alomar is the first player in Blue Jays franchise history to have this honor, which took place on July 31, 2011. Alomar is the first player to be inducted into the Hall of Fame depicted as a member of the Toronto Blue Jays. In 1995, Alomar signed with the Baltimore Orioles at a time when Toronto was looking to rebuild, while Baltimore was improving into a pennant-contending team. In Baltimore, Alomar paired with Hall of Famer Cal Ripken, Jr. to form a formidable double-play combination. Alomar appeared in the playoffs in 1996 and 1997 for the Orioles, although the Orioles were defeated in the ALCS in both years. On September 27, 1996, during a game against the Blue Jays, Alomar got into a heated argument over a called third strike with umpire John Hirschbeck and spat in his face. He defended himself by saying Hirschbeck had uttered a racial slur and that Hirschbeck had been bitter since one son had died of ALD and another had been recently diagnosed as well. Upon hearing this public disclosure of his private life, Hirschbeck had to be physically restrained from confronting Alomar in the players' locker room. Alomar was suspended for the first five regular season games in 1997 and donated $50,000 to ALD research. Alomar and Hirschbeck settled their differences publicly and made apologies to each other on April 22, 1997, standing at home plate and shaking hands in front of the crowd before an Orioles game. Regarding the incident at his retirement, Alomar said, "That, to me, is over and done. It happened over nine years ago. We are now great friends. We have done some things with charity. God put us maybe in this situation for something. But I think people who know me, people who have had the chance to be with me on the same team, know what kind of person I am. Anything I ever did wrong, I would confront it and now it is OK."
On November 24, 1998, Alomar signed a 4-year contract with the Cleveland Indians, joining his brother, Sandy Jr. It was in Cleveland that Alomar had two of his finest seasons. In 1999 he hit .323/.422/.533 with 24 HRs, 120 RBI and 37 stolen bases, and in 2001 he batted .336/.415/.541 with 20 HRs, 100 RBI and 30 steals. Cleveland made the playoffs in 1999, losing in the ALDS to the Red Sox; in 2001 they again made the playoffs but lost to Seattle in the ALDS. Alomar finished third in MVP voting in 1999. On the field, Alomar teamed with shortstop Omar Vizquel to form another decorated middle infield combination. In 2000, with Vizquel committing just three errors all season long, the entire Cleveland infield committed 34 errors—just one more than the record low set by the New York Mets infield the year before. Vizquel, Alomar and third baseman Travis Fryman each won the Gold Glove Award that season; the Vizquel-Alomar duo ultimately won three consecutive Gold Gloves together, becoming one of just eight shortstop-second baseman duos to have accomplished this feat in the same year. Alomar was traded to the New York Mets before the 2002 season for pitcher Billy Traber and outfielders Matt Lawton and Alex Escobar. In 2002, Alomar hit only .266/.331/.376 with 53 RBI and 73 runs scored, while falling apart defensively at second base. The Mets were puzzled by Alomar's mediocre play, which some attributed to his lack of comfort with being under the greater scrutiny of the New York fans and media. However, not even a midseason trade back to the American League to the Chicago White Sox in 2003 could revive Alomar from his funk. There was more misery ahead with the Arizona Diamondbacks in 2004, including a two-month disabled stint with a broken right hand. On August 5, Alomar returned to the White Sox, and hit just .263/.321/.392 in 56 games. Alomar agreed to a one-year contract with the Tampa Bay Devil Rays for the 2005 season. However, on March 19, 2005, after a spring plagued by back and vision trouble, he decided to retire. In a 17-year career, Alomar was a .300/.371/.443 hitter, with 210 home runs and 1,134 RBI in 2,379 games. At the time of his retirement, he was 51st all-time with 2,724 career hits. 2010 was Alomar's first year of Hall of Fame eligibility, but he missed induction by eight votes. His 73.7% of the vote was the highest percentage of votes in any player's first year on the ballot without being elected. Some baseball writers expressed shock that Alomar failed to get in on the first ballot, but many attributed the near-miss to sportswriters holding a grudge over the 1996 spitting incident with John Hirschbeck, including Alomar's brother Sandy and Hirschbeck himself. Alomar was elected to the Baseball Hall of Fame in his second year of eligibility with 90% of the vote (523 of 581 ballots cast). He is the third Puerto Rican in the Hall of Fame, after Roberto Clemente and Orlando Cepeda. On July 24, 2011, Alomar was formally inducted into the Baseball Hall of Fame in Cooperstown, New York as a member of the Toronto Blue Jays. On June 19, 2010, Alomar was inducted into the Canadian Baseball Hall of Fame in St. Marys, Ontario. The 2011 Caribbean Series was dedicated to him, which was followed by his induction into the Caribbean Baseball Hall of Fame. Despite his number already being placed on the Blue Jays Level of Excellence, on July 31, 2011, the Toronto Blue Jays officially retired Alomar's #12 as the first retired number in franchise history. On September 24, 2015, Alomar was inducted into the Ontario Sports Hall of Fame in Toronto. Alomar married Puerto Rican model Maripily Rivera on June 1, 2009. The next year, Rivera alleged that she had been victim of aggression from Alomar and that she wanted to end the marriage. Alomar alleged that Rivera had threatened to divorce him unless he gave her half ownership of his Tampa residence. In the midst of the scandal, rumors that Alomar was HIV-positive resurfaced, and Rivera sued him for allegedly exposing her to the virus, even though she had defended him previously when an ex-girlfriend made the same claims. The divorce was finalized on July 12, 2011 with a private settlement. The HIV claims remain unfounded. On December 12, 2012, Alomar married Toronto native Kim Perks at the Art Gallery of Ontario. Their first daughter, Lourdes María, was born on April 11, 2014. Alomar resides in Toronto. 1 2 Porter, David L. (2004). Latino and African American athletes today: a biographical dictionary. Greenwood Publishing Group. p. 20. ISBN 978-0-313-32048-4. Retrieved April 13, 2010. ↑ "12-time All-Star retires; has back, vision problems". ESPN. ESPN Internet Ventures. Associated Press. March 19, 2005. Archived from the original on May 23, 2009. Retrieved May 23, 2009. ↑ Namee, Matthew (June 28, 2004). "Roberto Alomar: A Forgotten Legend?". The Hardball Times. Archived from the original on May 23, 2009. Retrieved May 23, 2009. ↑ "Silver Slugger Award Winners – National League". Baseball-Reference.com. Archived from the original on May 23, 2009. Retrieved May 23, 2009. ↑ Kepner, Tyler (January 5, 2011). "Roberto Alomar and Bert Blyleven Elected to Hall of Fame". The New York Times. 1 2 3 4 5 Britton, John A (2002) . Dawson, Dawn P, ed. Great Athletes. 1 (Revised ed.). Salem Press. pp. 49–51. ISBN 1-58765-008-8. ↑ Van Hyning, Thomas E.; Eduardo Valero (2004). Puerto Rico's Winter League: A History of Major League Baseball's Launching Pad. McFarland. p. 111. ISBN 978-0-7864-1970-8. Retrieved April 13, 2010. 1 2 Lubinger, Bill (July 19, 2011). "Roberto Alomar's long route to Cooperstown glory ran through Cleveland". Cleveland.com. Retrieved August 5, 2013. ↑ Kepner, Tyler (January 4, 2010). "Roberto Alomar Awaits the Hall's Call". The New York Times. Retrieved August 5, 2013. ↑ Wolpin, Stewart; Robinson, James G. "Roberto Alomar". BaseballLibrary.com. Idea Logical Company. Archived from the original on May 23, 2009. Retrieved May 23, 2009. 1 2 "Roberto Alomar from the Chronology". BaseballLibrary.com. Idea Logical Company. Archived from the original on May 23, 2009. Retrieved May 23, 2009. 1 2 Gillick, Alomar fittingly enter Hall together MLB.com. Accessed on February 24, 2012. ↑ "Blue Jays to retire Alomar's No. 12". The Toronto Star. Archived from the original on July 20, 2011. Retrieved July 20, 2011. ↑ Wulf, Steve (June 24, 2001). "The Spit Hits The Fan". Time Magazine. Retrieved July 9, 2009. ↑ Rosenthal, Ken (January 8, 2010). "Snub of Alomar exposes flaw in voting". Fox Sports. Retrieved August 12, 2011. ↑ Ribas, Fernando (January 26, 2011). "Dedican Serie del Caribe a Roberto Alomar". El Nuevo Dia (in Spanish). El Nuevo Dia. Retrieved January 26, 2011. ↑ Fish, Mike (December 1, 2012). "Drama follows retired baseball All-Star". ESPN. ↑ Vargas, Patricia (July 12, 2011). "Maripily divorciada y millonaria". El Nuevo Día. ↑ Gómez, María Gabriela (July 12, 2011). "Maripily ya esta divorciada". Primera Hora. ↑ Elliott, Bob (December 12, 2012). "Hall of Famer Roberto Alomar marries in Toronto on 12-12-12". Toronto Sun. ↑ "Se convierte en padre Roberto Alomar". El Nuevo Día. April 11, 2014. Retrieved April 12, 2014. 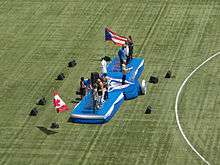 ↑ Roberto Alomar impressed by Jose Reyes SLAM! Sports. Accessed on June 20, 2013.